The Red Zone is a student ran campus store inside Goshen High School. The Red Zone was established on March 1st 2012 by a group of four business students in Tina Schmuckers marketing class. Emily Halley, Daniel Deboni, Leah Shetler, and Ryan Steele are the four students responsible for creating the Red Zone along with Tina Schmucker. 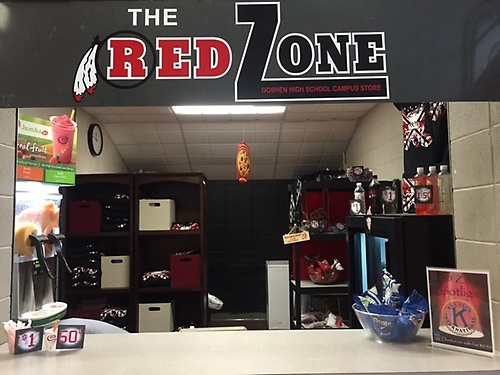 The Red Zone sponsors many high school events such as prom, dances and other events going on in the student body. 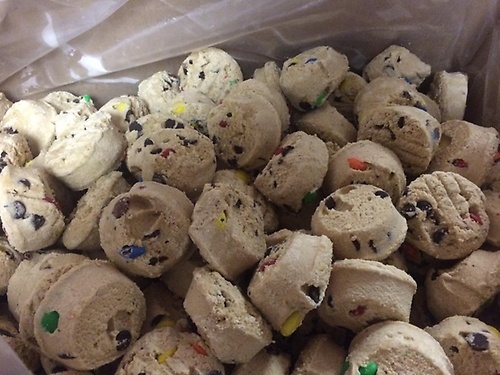 The Red Zone sells snacks during all lunches Tuesday through Friday. The Red Zone is known for selling famous Otis Spunkmeyer cookies. 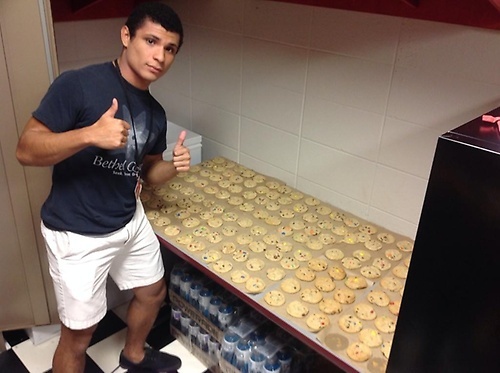 Along with our amazing cookies we also sell drinks, fruit smoothies, student designed apparel, and other snacks.